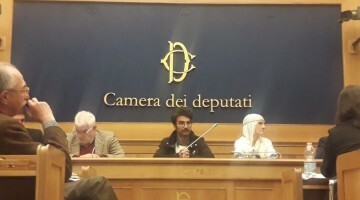 Tevgera Ciwanên Şoreşger asked that the immediate release of the people detained in the police crackdown in Strasbourg. 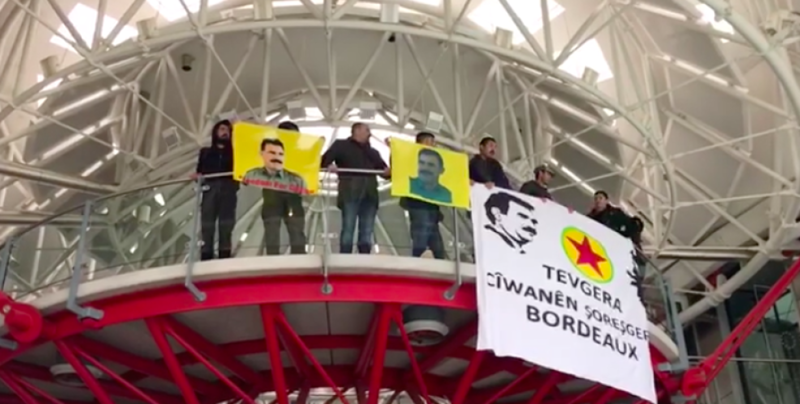 Tevgera Ciwanên Şoreşger (Revolutionary Youth’s Movement) activists protested against the isolation imposed on Kurdish People's Leader Abdullh Öcalan by entering the European Parliament building in Strasbourg. Young people carried out a civil disobedience action in the building, opening a banner saying “Tevgera Ciwanên Şoreşger-Bordeaux". While the young people staged their action inside the building, outside French police attacked the crowd with gas bombs. Several people were injured in the police attack, many were reportedly taken into custody. 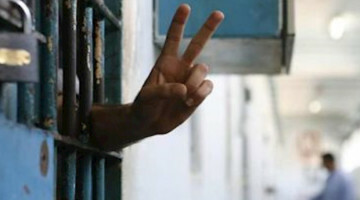 In a written statement, Tevgera Ciwanên Şoreşger asked that the immediate release of the people detained. The statement said: "We, Kurdish youth, came to Strasbourg today to protest the inhuman isolation imposed on Leader Apo and the attitude of the CPT which considers this isolation being no torture. We salute all Kurds who have taken part in the action and have shown a determined stance against the attacks of the French police. We salute your resistance. We will continue our actions uninterruptedly until Leader Apo is free. We will continue our protest until our friends who have been detained in Strasbourg are released. We urge all Kurds to support us".